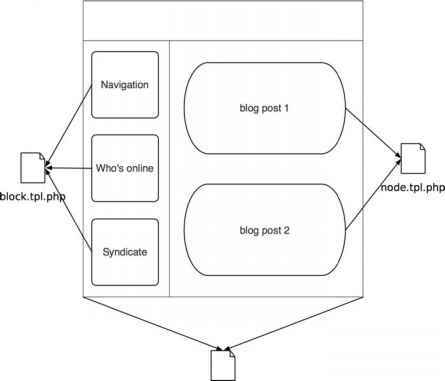 True to Drupal's nature, external authentication can simply be plugged into Drupal by implementing hooks in a module. 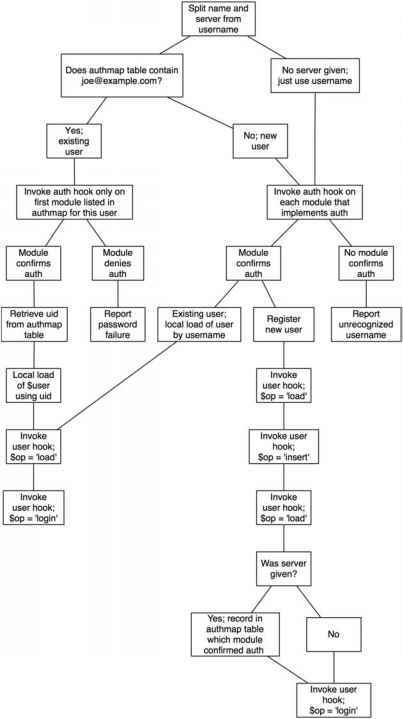 An overview of the process Drupal goes through when performing external authentication is shown in Figure 6-6. If no module that provides external authentication (i.e., responds to the auth hook) is enabled, Drupal will treat all usernames as local usernames. So both joe and [email protected] .com are simply considered strings with no special meaning. However, when a module that provides external authentication is enabled, the two become very different. Note Drupal will always try to log in a user locally first, before trying any external authentication.